Brooks, J (2016) Geometra. 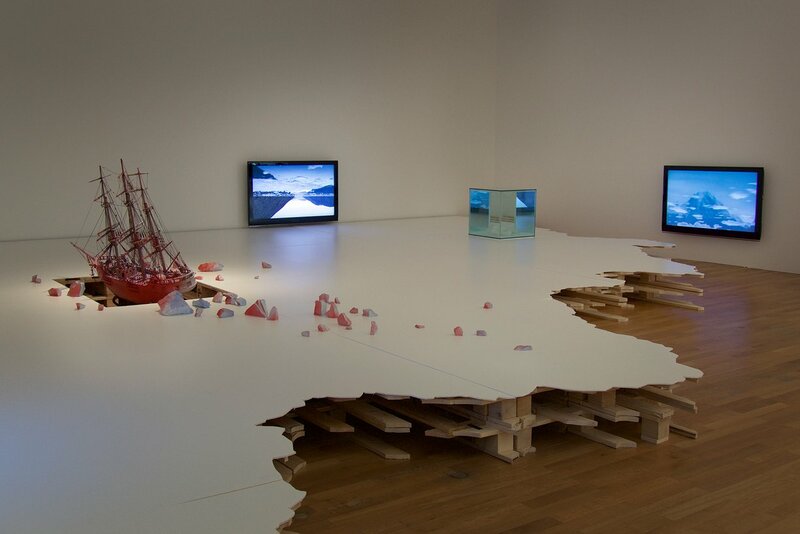 Monika Bobinska/Canal Projects, London, UK, 14 January - 6 February 2016. Brooks, J (2016) Saturate. In: DR/OP, Komyoji-Kaikan, Hiroshima, Japan, 3 - 22 May 2016. Brooks, J (2016) The archivist. Galerie Laurent Mueller, Paris, France, 14 June - 16 July 2016. Brooks, J (2016) The missing: rebuilding the past [group exhibition]. Jessica Carlisle Gallery, London, UK, 15 April - 7 May 2016. Carderera, L, Bryan-Wilson, J, Flood, C, McBrinn, J, Wilson, C.J.R and Smith, M (2016) Queer craft…? In: Design Culture Salon 21, 20 May 2016, V&A, London, UK. Dalwood, D (2016) Expérience sonore [group exhibition]. Musée d’Art moderne, Troyes, France, 21 May - 21 August 2016. Dalwood, D (2016) Half moon street (2012). In: Mon Art à Moi, Musée d’Art Moderne de Troyes, Troyes, France, 21 May - 28 August 2016. Dalwood, D (2016) Ian Curtis (2001). In: Happy Ending, FRAC Champagne-Ardenne, Reims, France, 22 January - 24 April 2016. Dalwood, D (2016) Ian Curtis (2001). 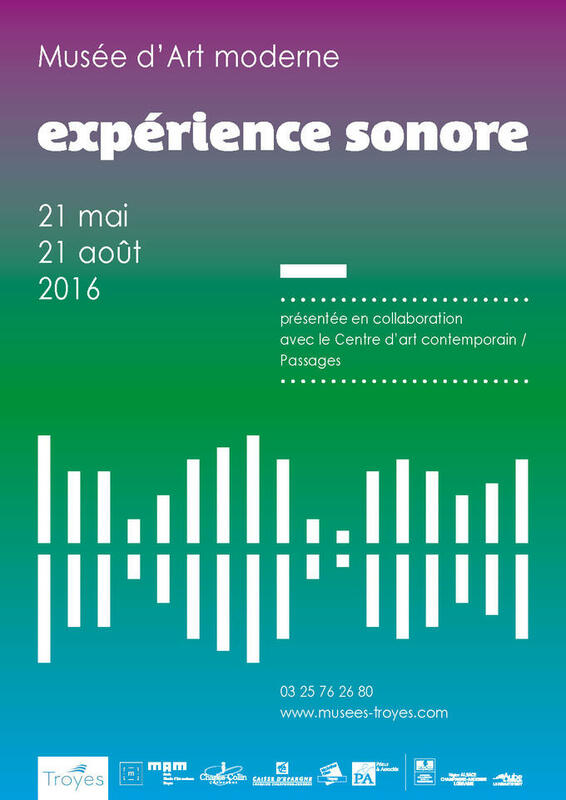 In: Expérience Sonore, Musée d’Art Moderne de Troyes, Troyes, France, 21 May - 28 August 2016. Dalwood, D (2016) Marie-Henri Beyle (2013) & Mao’s study (remix) (2015). In: Fragmentos A Su Imán, Galeria Horrach Moyà, Palma de Majorca, Spain, 9 December 2016 - 9 March 2017. Dalwood, D (2016) Propaganda Painting. 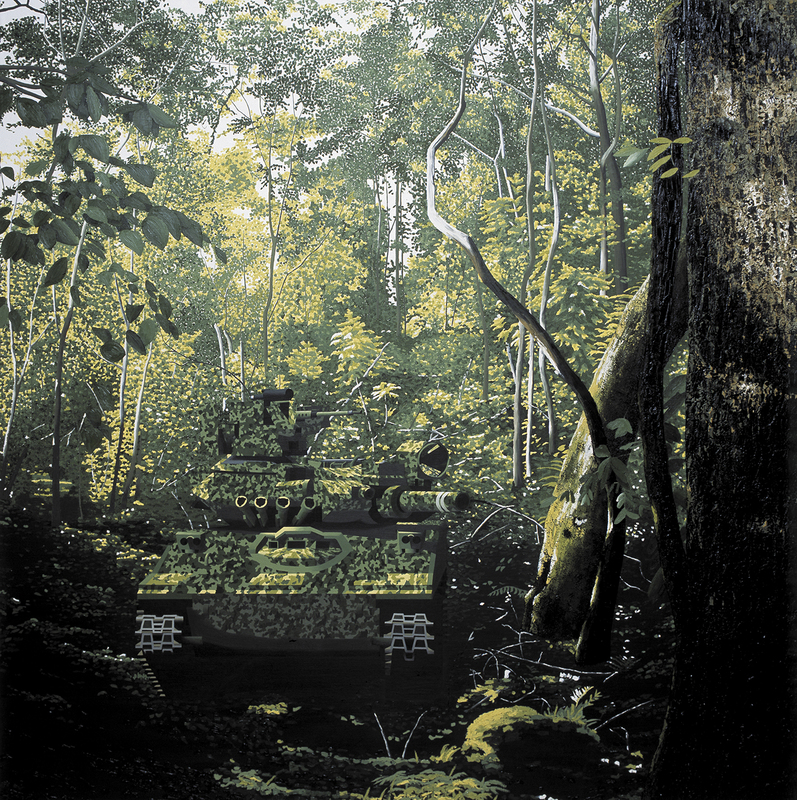 Simon Lee Gallery, Hong Kong, China, 22 March – 14 May 2016. Dalwood, D (2016) Talk and Tour: Dexter Dalwood on Flat Surface Painting. In: Artist Talk Series, 10 March 2016, Spike Island, Bristol, UK. 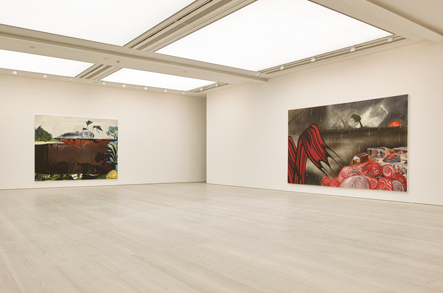 Dalwood, D and McBride, E (2016) Can we keep making it new: Dexter Dalwood and Eimear McBride in conversation with Lara Feigel. In: Launch of the 2017 Ivan Juritz Prize, 16 November 2016, Edmund J Safra Lecture Theatre, King’s College London, UK. Dunseath, J (2016) Artist Boss [website]. Dunseath, J (2016) Artist Boss at Bath Spa [curator]. Bath School of Art & Design, Bath Spa University, Bath, UK, 6 December 2016 - 20 January 2017. Dunseath, J (2016) Artist Boss: Pool [curator and exhibitor]. The Cut, Halesworth, UK, 3 September - 6 October 2016. Dunseath, J and Wilsher, M (2016) Artist Boss: Anthony Caro [curators]. New Art Centre, Salisbury, UK, 19 November 2016 - 29 January 2017. Dutton, S (2016) Art, philosophy, writing and speech. In: International Conference on Artistic Research, 28 -29 April 2016, University of the Arts, The Hague, Netherlands. Dutton, S and Bracey, A (2016) Trans-Art Triennial [curators]. Uferstudios, Berlin, Germany, 5 - 7 August 2016. Dutton, S and Morrad, A (2016) A work in process. In: Fine Art Research Network Symposium: Research Practice - Practice Research, 15 July 2016, University of Cumbria Institute of the Arts, Lancaster, UK. Galpin, P (2016) Ceramics and the haptic - a case study sited in Worcester Cathedral. PhD thesis, Bath Spa University. Hall, M, Harrison, K and Pheby, H (2016) Magz Hall and Keith Harrison in conversation with Helen Pheby. In: Jerwood Open Forest, 21 November 2016, Jerwood Space, London, UK. Harman, W.H (2016) 30th Gold Coast International Ceramic Art Award [group exhibition]. The Arts Centre, Gold Coast, Australia, 27 August - 23 October 2016. Harman, W.H (2016) Ceramic bananas: looking at Taiwanese cultural identity. In: Bath Spa University Early Stage Researcher Conference: Ethics, 16 May 2017, Bath Spa University, Corsham, UK. Harman, W.H (2016) Exploring Taiwanese cultural identity through contemporary ceramic practice. In: New Taipei City Yingge Ceramic Museum Artist Talks, 20 February 2016, New Taipei City Yingge Ceramic Museum, New Taipei, Taiwan. Harman, W.H (2016) Floating Writing. Bath Spa University Library, Bath, UK, 18 March - 15 April 2016. Harman, W.H (2016) The Human Condition [group exhibition]. MADL, Taipei, Taiwan, 20 February - 4 March 2-16. Harman, W.H (2016) ICMEA 2016 Emerging Artists Competition [group exhibition]. International Ceramic Art Museums, Fuping, China, 26 October 2016 - 26 October 2017. Harman, W.H (2016) The Language of Ceramics. New Taipei City Yingge Ceramic Museum, New Taipei, Taiwan, 20 February - 15 March 2016. Harman, W.H (2016) Taiwanese cultural identity: revelations through contemporary ceramic practice. In: Bath Royal Literary and Scientific Institution Lecture Series, 25 October 2016, BRLSI, Bath, UK. Harris, H (2016) Inland. Sion Hill Gallery, Bath Spa University, Bath, UK, 28 February - 8 March 2016. Harrison, K (2016) The Greater Taipei Biennial of Contemporary Arts: Dé-coïncidence [group exhibition]. National Taiwan University of Art, New Taipei, Taiwan, 7 November 2016 - 14 January 2017. Harrison, K (2016) Heavy Rock | Mould. In: Material Language: New Work in Clay, New Art Centre, Salisbury, UK, 14 May - 24 July 2016. Harrison, K (2016) Joyride. In: Jerwood Open Forest, Jerwood Space, London, UK, 2 November - 11 December 2016. Harrison, K (2016) Keith Harrison: artist talk. In: UWE/Art in the City Talks, 16 November 2016, Arnolfini, Bristol, UK. Harrison, K (2016) Provocation. In: Museums, Artists, Audiences: New Expressions, 11 October 2016, The Horniman Museum, London, UK. Head, A (2016) Defining elastic space. In: Elastic 3D Space International Colloquium, 24 - 27 February 2016, Concordia University, Montreal, Canada. Head, A (2016) SPHERE House Visualisation. In: MediaWall, Bath Spa University, Bath, UK, November 28 - December 14 2016. Head, A (2016) iMigration. In: Forest of Imagination, Bath Abbey, Bath, UK, 3 June 2016 - 24 June 2016. Head, A and Sujir, L (2016) Elastic 3D Space. In: Besides the Screen, 20 - 22 June 2016, Conventry, UK. Hong, Y (2016) Drawing flowers. In: Making is Thinking is Making: La Nouva Arte Coreana - XXI La Triennale di Milano, Milan, Italy, 2 April - 12 September 2016. Hong, Y (2016) A Fire That Never Dies. 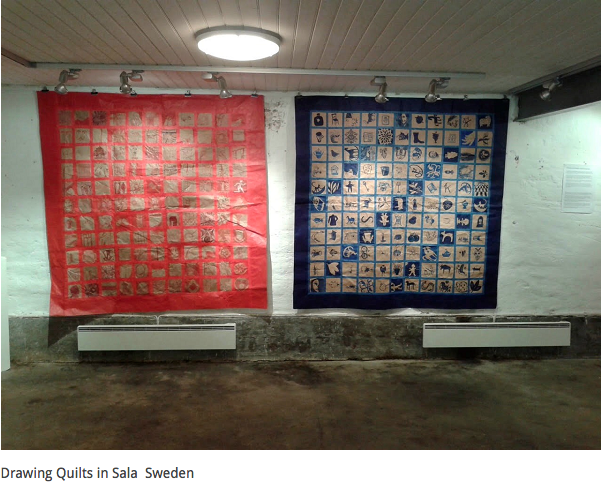 Cecilia Hillstrom Gallery, Stockholm, Sweden, 14 January - 20 February 2016. Hong, Y (2016) Let us dance. In: South Korea Guest of Honour at Art Paris Art Fair, Grand Palais, Paris, France, 3 - 5 March 2016. Keyte, J, Evans, R and MacQueen, P (2016) Thinking Keeping: a practice-led research project which focuses on the act of opening or breaking in to product packaging. In: 10th Annual Conference on Design and Emotion, 27 - 30 September 2016, Pakhuis de Zwijger, Amsterdam, Netherlands. Kidd, N (2016) The Greater Taipei Biennial of Contemporary Arts: Dé-coïncidence [group exhibition]. National Taiwan University of Art, New Taipei, Taiwan, 7 November 2016 - 14 January 2017. Kidd, N (2016) Overfill. In: Oriel Davies Open: Painting, Oriel Davies, Newtown, Wales, 16 April - 15 June 2016. Kidd, N (2016) A case for digging: curious about care. In: Arts Public Lecture Series, 10 May 2016, University of Wolverhampton, Wolverhampton, UK. Kidd, N and Addison, J (2016) By instruction: 'No Working Title'... Misunderstanding, misinterpretation, failure and disappointment. The unstable intersection between what is instructed and how it is interpreted. In: The Hidden Curriculum: Annual Symposium for Fine Art Educators, 22 January 2016, London Metropolitan University, London. Lalic, M (2016) History painting 2 cave. Yellow earth (1995) & History painting 8 Egyptian. Orpiment (1995) & History painting 14 Greek. Massicot (1995) & History painting 17 Italian. Naples. Yellow (1995) & History painting 35 C18/19th. Cadmium yellow (1995) & History Painting 42 C20th. Winsor yellow (1995). In: The Start Display, Tate Modern, London, UK, 13 June 2016 - ongoing. Lalic, M (2016) History painting. Red (2016) & French red vermilion landscape painting (2016) & Scheveningen red deep landscape painting (2016). In: Fifty Shades of Red, Galerie Renate Bender, Munich, Germany, 13 May - 2 July 2016. Lalic, M (2016) Lead triptych (1987) & Lead fall – lead red (1994) & Lead fall – chrome green deep (1994) & Yellow violet opposite painting (1993). In: Soft Alchemy, FoxJensen Gallery, Auckland, New Zealand, 26 October - 11 November 2016. Luzar, R (2016) Demonstrations. Skelf SITE, 1 October - 3 November 2016. Luzar, R (2016) Four Steps for Lighting Balls and Chords. In: Draw to Perform 3, Crows Nest Gallery, London, UK, 30 - 31 July 2016. Luzar, R (2016) How am I? Thinking ‘being’ through excess, exscription and saturated phenomena. In: Inter-Religious and Inter-Cultural Dialogue in a Pluralistic World: Philosophical and Theological Perspectives, 1 - 2 June 2016, Oviidius University, Constanta, Romania. Luzar, R (2016) Objectless faith through inaesthetics. In: Knowledge, Reality, Transcendence: A Dialogue Between East & West, 31 October - 6 November 2016, Constanta, Sinaia, Vatra Dornei, Romania. Luzar, R (2016) Re-tracing post, stance, paper. In: Draw to Perform 3, OCAD University, Toronto, Canada, 10 February 2016. Luzar, R (2016) Screened page. In: Line, Point, Plane: Minimalism in Architectural Space, Nunnery Gallery, London, UK, 20 – 25 September 2016. Luzar, R (2016) Screened page / screened window. In: Drawing Upon Experience, Basement Gallery, Bath Spa University, Corsham, UK, 16 May - 23 July 2016. Luzar, R and Gagliardi, F (2016) Two Seen, One Un-Seeing. In: Duration and Dialogue: Performance Art Festival/Symposium, Katzman Contemporary, Toronto, Canada, 29 - 31 January 2016. Minott, P (2016) Pretty abstract. Black Swan Arts, Frome, UK, 10 September - 8 October 2016. Minott, P and Porter, S (2016) Pretty abstract: public talk. In: Black Swan Arts: Public Talks, 29 September 2016, Black Swan Arts, Frome, UK. Morrad, A and Dutton, S (2016) Words fail me. In: Fine Art Research Network Symposium: Research Practice - Practice Research, 15 July 2016, University of Cumbria Institute of the Arts, Lancaster, UK. Neudecker, M (2016) After Life. In: Documenting the World's Vanishing Glaciers, Scheilmünde Pilot Island, Germany, 23 July 2016. Neudecker, M (2016) Some Things Happen All At Once. Zeppelin Museum, Friedrichshafen, Germany, 29 January - 3 April 2016. Neudecker, M (2016) Tempest [group exhibition]. Tasmanian Museum & Art Gallery, Hobart, Tasmania, Australia, 10 June - 20 November 2016. Parry, B (2016) 'Beyond aesthetics: poetics of Autoconstruccion in Mexico City.' In: Kosmala, K and Imas, M, eds. Precarious spaces: the arts, social and organisational change. Intellect, Bristol, pp. 87-111. ISBN 9781783205936 Please click the title to check availability. Parry, B (2016) 'Theses on urban art intervention.' In: Davis, T, ed. Changing metropolis III. Kobenhavns International Teater, Copenhagen, pp. 102-106. ISBN 9788799422920 Please click the title to check availability. Parry-Williams, T (2016) Beautility [curator]. The Guild at 51, Cheltenham, UK, 7 June – 24 July 2016. Sharpe, W and Taylor, A (2016) Wendy Sharpe in conversation with Anita Taylor. In: Drawing Discussions Series, 3 June 2016, Drawing Projects UK, Trowbridge, UK. Snell, R (2016) Stalker (2005). In: Norwich Contemporary Arts Society Sixty Years On: Treasures from the Castle's Collection, Norwich Castle Museum, Norwich, UK, 26 September 2016 - March 17. Southall, A (2016) Shaker Spindle Back Settee Project. The American Museum, Bath, UK, 20 September - 30 October 2016. Sowden, T (2016) Pagination: the Book as Object [group exhibition]. The University Gallery, University of Newcastle, Australia, 30 March - 30 April 2016. Sowden, T (2016) Shelfware [group exhibition]. Line Gallery, Stroud, UK, 5 - 27 August 2016. Sowden, T, Mason, D and Rintoul, J (2016) Make and think: the tacit knowledge of practice. In: UWE Bristol Talks, 24th November 2016, Arnolfini. Taylor, A (2016) Drawings - Anita Taylor. Drawing Projects UK, Trowbridge, UK, 3 December 2016 - 27 January 2017. Taylor, A (2016) Jerwood Drawing Prize 2016. The Edge, Bath, UK, 4 November - 17 December 2016. Taylor, A (2016) Reservation. In: Century: 100 Modern British Artists, Jerwood Gallery, Hastings, UK, 23 October 2016 - 8 January 2017. Tooby, M and Scott, T (2016) 'A journey with 'The waste land'.' Arts & Education (8). pp. 8-9. Turk, G (2016) Ajar (2011). In: Sculpture in the City, Square Mile, London, UK, 1 June 2016 - 1 June 2017. Turk, G (2016) Egg balance. Turk, G (2016) GT. Jablonka Maruani Mercier Gallery, Knokke, Belgium, 6 August - 15 September 2016. Turk, G (2016) Gav (Library Bar). Bruchium - Al Forno, Venice, Italy, 7 May - 22 November 2015. Turk, G (2016) Nomad (2003). In: Found, The Foundling Museum, London, UK, 27 May - 4 September 2016. Turk, G (2016) Nomad (black) (2006). In: In a Dream You Saw a Way to Survive and You Were Full of Joy, Whitworth Art Gallery, Manchester, UK, 10 June - 30 October 2016. Turk, G (2016) One twenty five (2013). In: NEON: The Charged Line, Grundy Art Gallery, Blackpool, UK, 1 September 2016 - 7 January 2017. Turk, G (2016) Oscar (1999). In: Surrealism and Beyond, Von Bartha Collection, Basel, Switzerland, 21 April - 19 June 2016. Turk, G (2016) Petroleum. 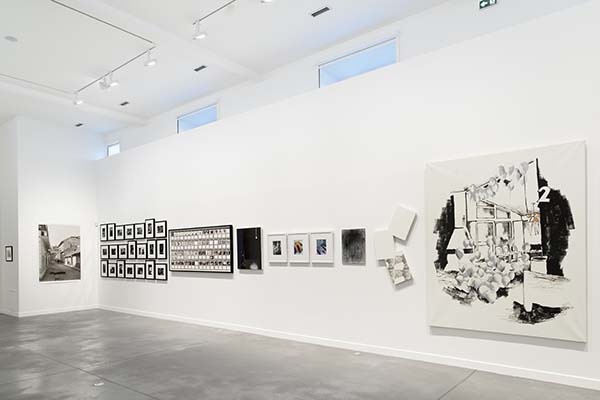 The Baldwin Gallery, Aspen, USA, 12 February - 12 March 2016. Turk, G (2016) Pink Che (2005). In: Bread and Roses: Artists and the Class Divide, Museum of Modern Art, Warsaw, Poland, 9 February - 1 May 2016. Turk, G (2016) Pop up (2000). In: Punk: Its Traces in Contemporary Art, MACBA Museu d´Art Contemporani de Barcelona, Barcelona, Spain, 13 May - 25 September 2016. Turk, G (2016) Water biscuit (2010). 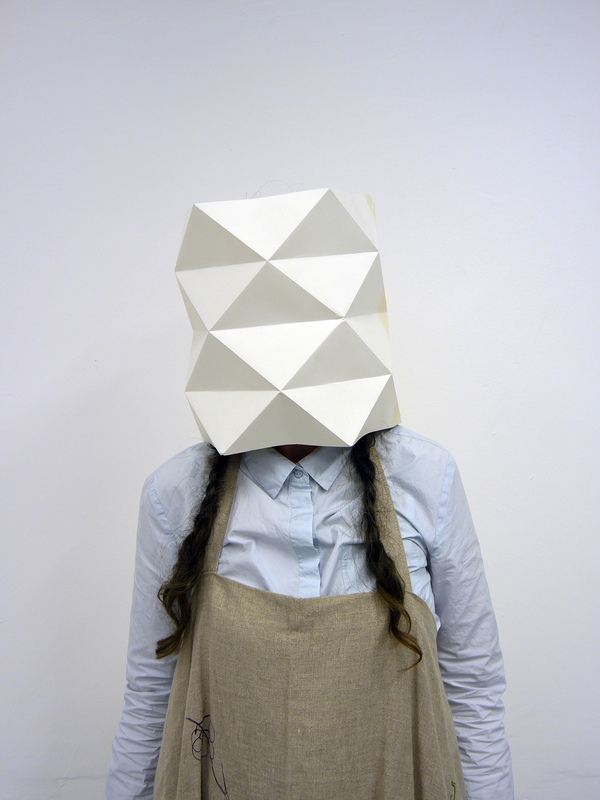 In: The Box, Pippy Houldsworth Gallery, London, UK, 22 January - 13 February 2016. Turk, G (2016) Yellow fright wig (2014). In: The Legacy of Andy Warhol, Artipelag, Stockholm, Sweden, 14 April - 25 September 2016. Turk, G (2016) The shining (2007). In: Daydreaming with Stanley Kubrick, Somerset House, London, UK, 6 July - 24 August 2016. Turner, F (2016) The defiant English glove revival. In: X International Fashion Conference: Fashion On The Move - Rethinking Design, 20-21 April 2016, University of Navarra, Pamplona, Spain. Whiting, M (2016) The Art of Research. Royal United Hospital, Bath, UK, Permanent Installation. Whiting, M and Khatir, L (2016) The Drawing Quilt Project. In: Konst i Påsk Easter Arts Festival, Aguelimuseet, Sala, Sweden, 20 March 2016 - September 2016. Whiting, M, Khatir, L and Mars, P (2016) Bad Wilma. Mars Gallery, Chicago, IL, USA, 16 June - 1 September 2016. Wilson, C (2016) Wallpaper fragment & Inscription in arsenic green (after David) & Les Invalides. In: Poison - An Anti-Visual Strategy (Rock Room Project), UCL Rock Room, UCL, London, 11 -13 May 2016. Wilson, C (2016) Wands & Rabbits. In: Beep 2016: This must be the place I never wanted to leave, Swansea College of Art, Swansea, Wales (then touring), 6 August - 3 September 2016. Wilson, C.J.R (2016) Writing_Making: object as body, language and material. PhD thesis, Royal College of Art. Withers, R (2016) 'Bringing things down to Earth.' In: Giusti, L, ed. Roman Signer : a step towards the sea = un passo verso il mare. Humboldt Books, Milan, pp. 121-135. ISBN 9788899385132 Please click the title to check availability. Withers, R (2016) Line, Point and Plane: Minimalism in Architectural Space [ exhibition essay]. Please click the title to check availability. Wood, J and Harrison, P (2016) 100 falls (2013) & One more kilometre (2009). 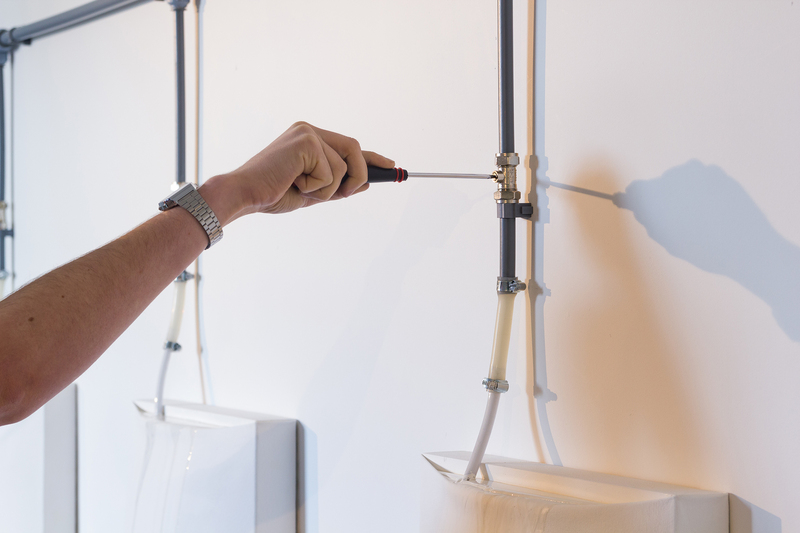 In: A Laborious Dedication to Useless Tasks, The Deptford Project, London, UK, 26 - 27 November 2016. Wood, J and Harrison, P (2016) Erdkunde (2015). In: Looking at One Thing and Thinking of Something Else - Part One: Dialogues with Art History, Carroll/Fletcher Gallery, London, UK, 11 November 2016 – 25 February 2017. Wood, J and Harrison, P (2016) I Didn't Know I Didn't Know It. 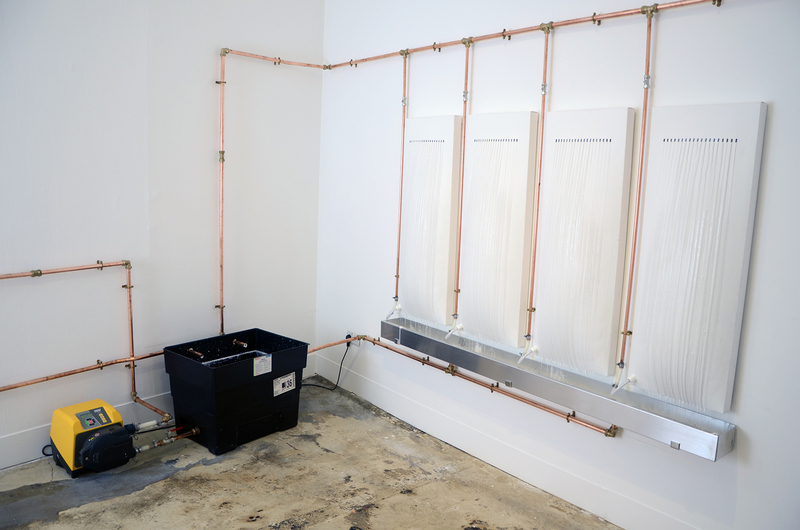 The Contemporary Art Gallery, Vancouver, Canada, 12 February - 24 April 2016. Wood, J and Harrison, P (2016) Night and day (2008). In: Ascents: Light Art Festival, Stuttgart, Germany, 17 September - 9 October 2016. Wood, J and Harrison, P (2016) Some Things Were Recorded 1993-1998. Carroll/Fletcher, London, UK, 9 September- 29 October 2016. This list was generated from ResearchSPAce on Tue Apr 23 20:12:17 2019 UTC.